The Focus3D X 330 has been on the market for almost a year now, during which FARO introduced Scene 5.3, the latest version of their proprietary point cloud processing software. A debate over the place reference spheres have in scanning has erupted in its wake, as both software and hardware are continuing try phase out scanner targets such as spheres. Leaving aside this debate, and instead addressing laser scanner users who may indeed have a use for reference spheres in the point cloud registration process, we’ve neglected to discuss a great way to get the most out of the FARO X 330 – using our 200mm target spheres. When talking to a client about the “operational range” of the XXL Spheres, we realized that this term is totally confusing and misleading. Spheres do not operate; scanners do. Aside from the quality of their manufacturing (which, in our case, any deviation is substantially less than a terrestrial laser scanner’s margin of error), the ability to detect registration targets relies entirely on the quality, resolution, and operational conditions of the scanner being used. 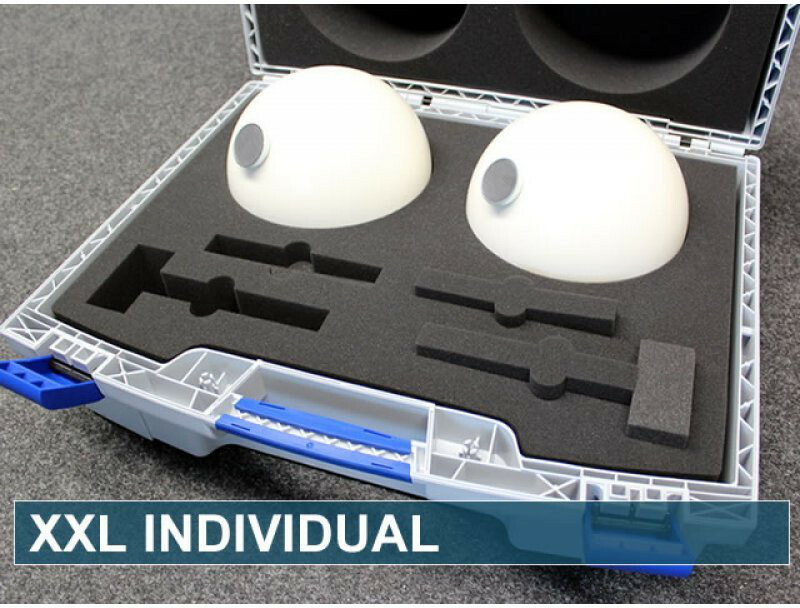 The reason that the XXL sphere is perfect for a long distance phase-based scanner such as the Focus3D X 330 is that the size of the target allows the user to fully utilize the range of scanner without sacrificing registration accuracy. A larger sphere will return more data points within a point cloud, allowing for a more precise calculation of the center. Thus the overall precision of the registered point cloud will actually greatly increase. On top of that, using these 200mm reference spheres with the corresponding mini-prism (to geo-reference your scans with a total station) generates impressively accurate results at longer distances. Still doubtful? Want to see them in action? Email our rental department or call us at 412.871.3220 to try it or buy it.